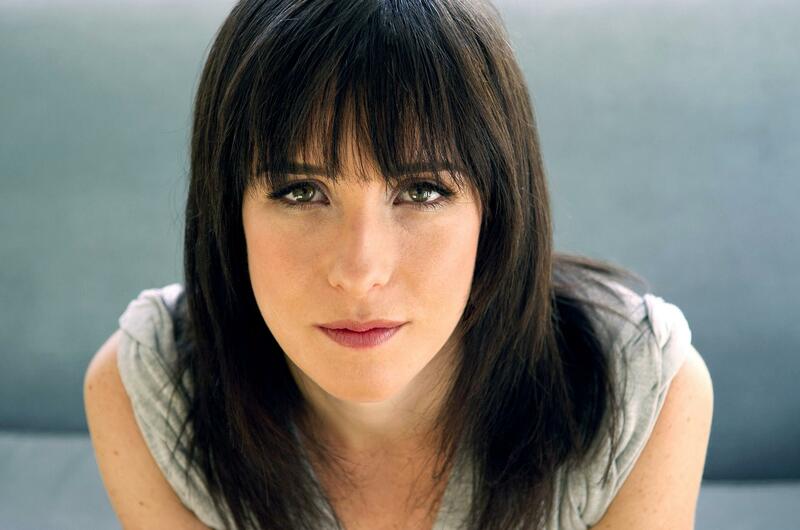 Now O’Rourke, 35, has produced a very different kind of work, a memoir about her experiences grieving the loss of her mother to cancer. In the vein of Joan Didion, The Long Goodbye chronicles both O’Rourke’s own challenges with grief as well as that of her family. 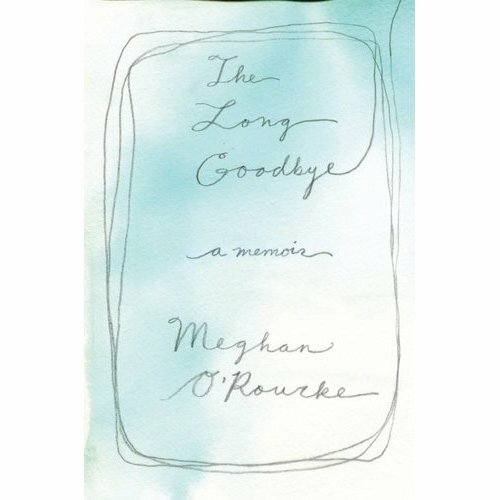 Spliced with detailed childhood memories of Brooklyn summers and the sterility of her mother’s hospital rooms, The Long Goodbye reads as a love letter to O’Rourke’s mother whom she so dearly loved. O’Rourke, who lives in Brooklyn and Marfa, Texas, spoke to SMITH Magazine from Los Angeles. The Long Goodbye really struck me as a modern meditation on grieving for single women, particularly without children. At one point in the book you do acknowledge that a lot of your friends are married and have babies and so grieving is a different experience for them. Can you say a little more about that? Certainly one of the things that I thought a lot about was the particular contours of being, as you say, single and woman and grieving. There is not a lot out there that brings us into the experience of a woman alone grieving who isn’t grieving for a husband who has died. I do think that the book is very much about being a woman in your 30s and 40s, too—that age where you have left the embrace of your childhood home and you may not necessarily have a kind of home that feels secure in a time of great difficulty. The book is also about becoming a different kind of a grown up and single woman than I was before my mom died. It’s really difficult when you’re at age where you’re thinking about having a family and to lose a mother, which is the focus point for a lot of those feelings, and your model as a woman for what your own life might look like. That was very difficult for me. You turned to literature a lot to deal with your grief. I really loved the variety in your research—from Shakespeare to Tolstoy. As much as that was apart of your search while you’re grieving, why did you choose to include the voices of other authors when expressing your own grief? I had been a shy child and always loved books. Books were how I understood my place in the world; and this book was about my grief. One reason I think lot of grievers turn to books is that we get to pierce the consciousness of another being. In film and in TV, we’re looking at characters from the outside. While film and TV and be very powerful, the experience of grief was such a strange, alien territory that I had no sense of. When you’re reading, you can slip inside the skin of another person. I could slip in C.S. Lewis’s skin or I could slip inside Hamlet’s skin—his cries of feeling estranged. Reading became a way of feeling not alone as I took on the interior world of another. Your book also struck me as a real writer’s response to grieving as well. There are the included passages but you also relentlessly researched your mother’s diagnosis, which you attributed to being a journalist. Did you intend for this very writerly narrative? Yes. For me, writing a book became my form of mourning—my mourning ritual. I was able to put my experiences into language, which would sometimes feel beautiful for me. There was an element of transformation and satisfaction that I think I needed. It became this kind of transubstantiation to put down these complicated experiences. In that way, it did feel very writerly from the beginning. You write that our culture doesn’t have any rituals for properly conveying grief. Even when your friends expect you to move on from your mother’s death, you don’t really blame them because you consider their behavior a cultural by-product. Part of the difficulty is that we don’t have a shared language and that makes grief awkward for mourners and friends alike. The only language we have resource to is psychological language. So people ask you how you’re doing and you have to answer in this very personal way that may make the person you’re talking to feel very uncomfortable. Isadora Duncan, after she lost both of her children, wrote in letters to her friends that the worst part for her was not right after her children’s deaths or the funeral when everyone came to her side. She said that the worst part came many years later when people approached her and expected her to be completely recovered. Your book really echoed her sentiments for me. Would you agree with her observation? Yes, I would. Grief certainly becomes less acute. It becomes more real and enduring. I just gave a reading and a couple of young women who had recently lost parents said that it becomes very difficult to find a language for loss three years later or seven years later. You don’t just heal. It’s much like a tree growing around an obstacle in that something comes into your life and you have to grow around it. That is going to shape the pattern of your growth for the rest of your life, and in not necessarily a negative way. Koa Beck will be reading from her short story, “Dorian in Germany” in Slice Magazine on May 9th at Housing Works Bookstore Café in NYC at 7 pm. Hey, great article as usual. I would like to share my own story to help mothers out. I have been using mystarkid.com for over 2 years now. I now have two sources of income, one from my full time job and the other from my child?s career. Mystarkid.com helped my daughter excel in unimaginable ways. My daughter has now done commercials with Disney and I couldn?t be happier with their service. If you want to really help your child build their career, mystarkid is the place to go. Great and very informative article. I would like to share my own personal experience to help you out. I have been to the casting calls twice now, and although I did not get signed with them, I received very professional, encouraging feedback. The modeling industry is extremely competitive, so it wasn’t a surprise that I didn’t make it this time. They are super responsive to calls and emails. They provide a personal and caring touch that other agencies lack. Another workaround to fix this issue is to recognize the printer using other applications. We will demonstrate this using NotePad as almost every computer has this application by default.